How to write simple Hello World application using OpenCV and Xcode. Follow this step by step guide to link OpenCV to iOS. Now we need to link opencv2.framework with Xcode. Select the project Navigator in the left hand panel and click on project name. Under the TARGETS click on Build Phases. Expand Link Binary With Libraries option. Now you can start writing your application. 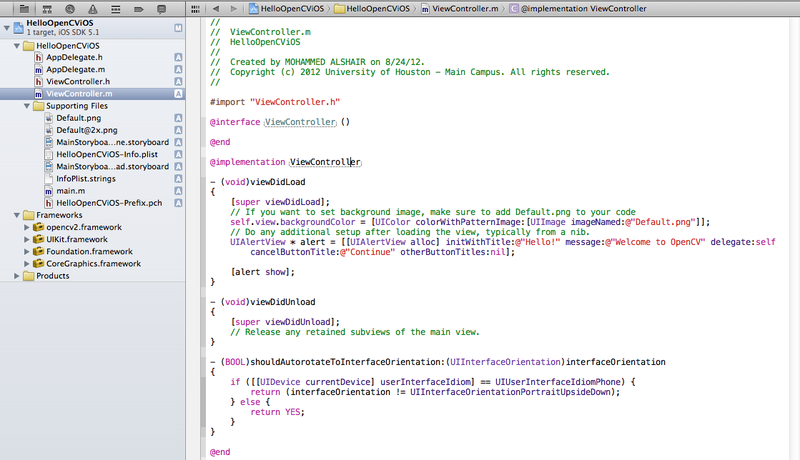 Now we will learn how to write a simple Hello World Application in Xcode using OpenCV. 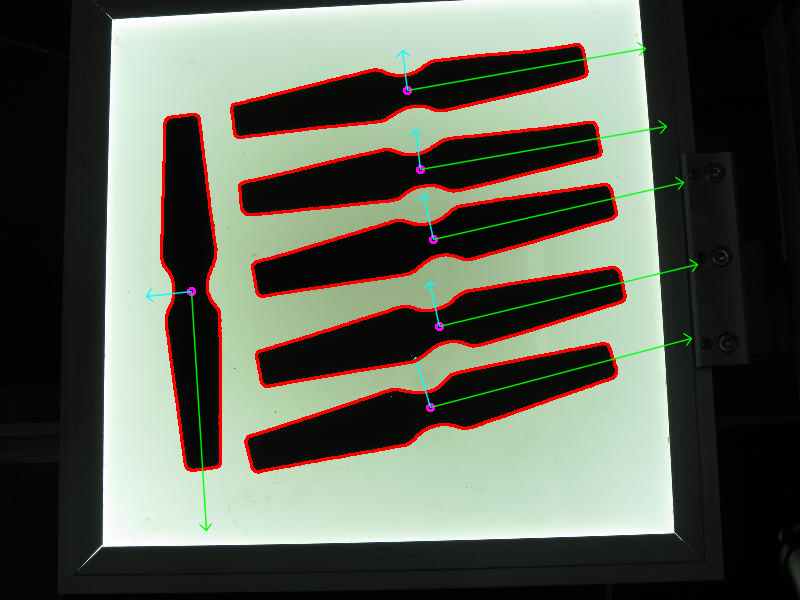 Link your project with OpenCV as shown in previous section. Open the file named NameOfProject-Prefix.pch ( replace NameOfProject with name of your project) and add the following lines of code. Add the following lines of code to viewDidLoad method in ViewController.m. You are good to run the project. The *.m file in your project should be renamed to *.mm. You have to manually include AssetsLibrary.framework into your project, which is not done anymore by default.